Flip a coin. If heads or tails, this attack affects all the opponent's benched pokémons and the defending Pokémon. 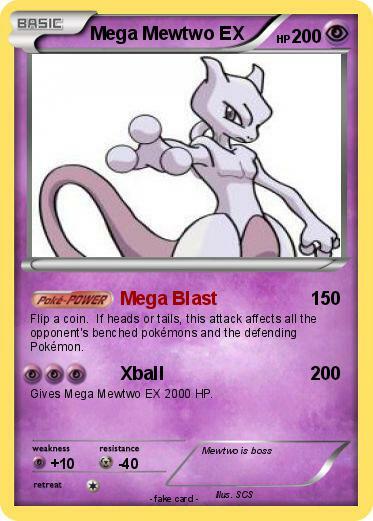 Gives Mega Mewtwo EX 2000 HP.